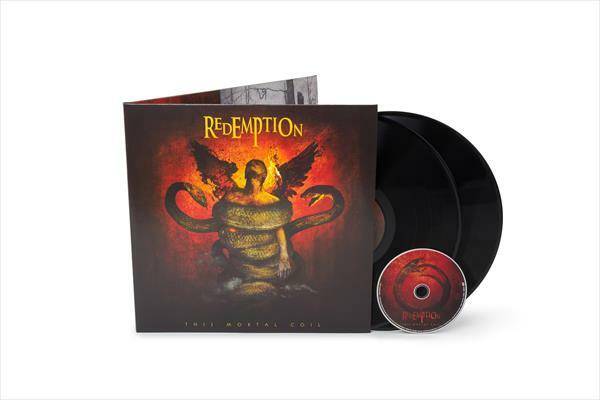 REDEMPTION - THIS MORTAL COIL VINYL (2LP BLACK+CD) | Online Shop | Wizard LTD. Album: "THIS MORTAL COIL VINYL (2LP BLACK+CD)"
Fans of progressive power metal have another reason to celebrate as the amazing REDEMPTION finally get the proper vinyl treatment. Featuring such legendary artists as Ray Alder (Fates Warning) and Bernie Versailles (Agent Steel) among their ranks, the much lauded albums “The Origins Of Ruin” (2007), “Snowfall On Judgement Day” (2009), and “This Mortal Coil” (2011) now are released as stunning 2LP editions on 180g vinyl incl. an etching on Side D and the particular album on CD as bonus. The US act is especially recommended to fans of Dream Theater, Queensryche, and obviously Fates Warning combining classic metal riffing with atmospheric keys and Ray’s soaring vocal melodies.